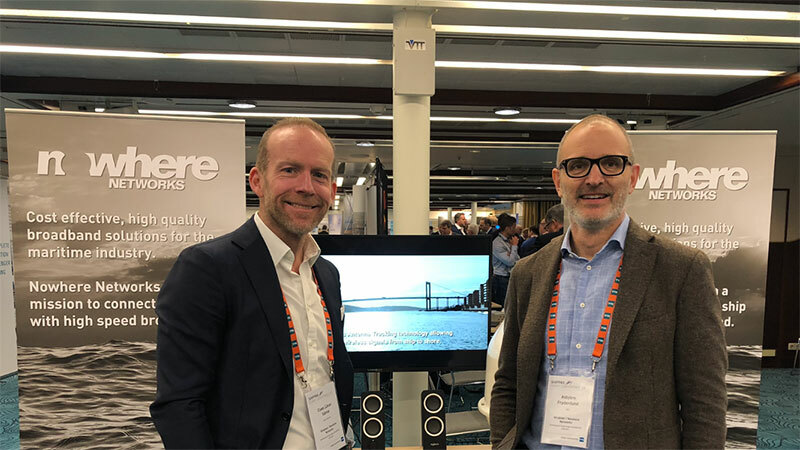 Nowhere Networks attended and exhibited at the annual Shippax conference on 13-14 March. This year we traveled with Silja Line ( who is a customer of ours) and the interest in our solution was great. In the picture, Vice President CG Sänne and CEO Asbjörn Frydenlund.